The annual Kearney & Mc Bride cup races took place at Bush on Sunday. Despite the overnight weather it was a well supported event. 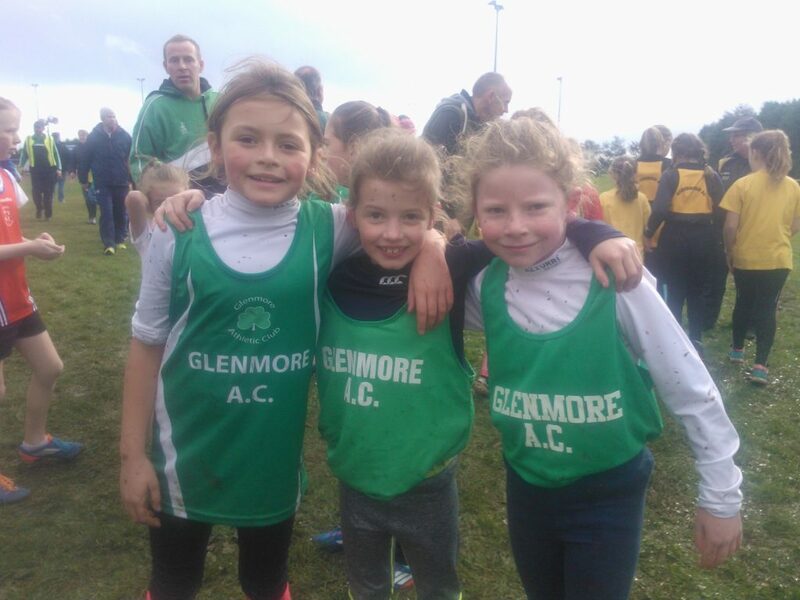 See https://twitter.com/GlenmoreAC for photos and videos. The juvenile races were the first event of the day with all local clubs represented together with clubs from surrounding counties. The first 10 in each race were prize winners on the day. 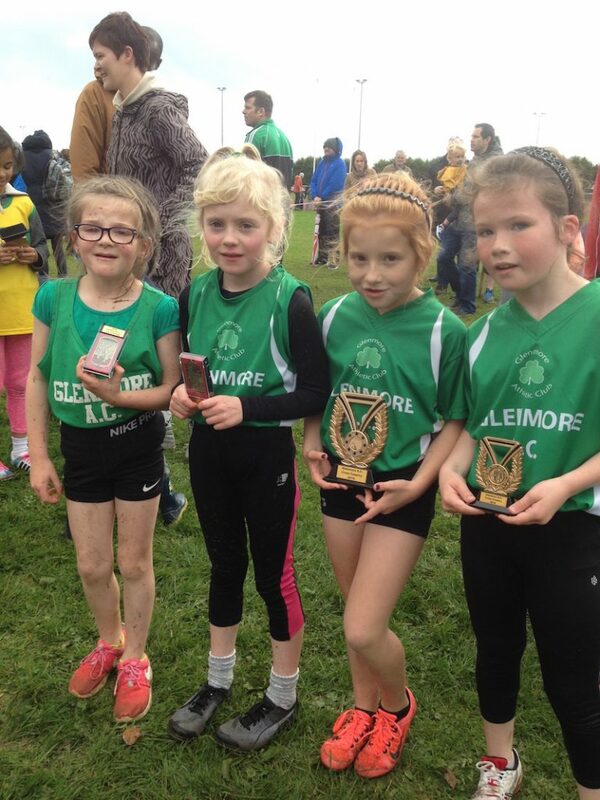 Girls U9 500m, Jessica White Glenmore AC, Shola Lawrence Boyne AC, Emma Mc Carragher Glenmore AC, Orla Mc Loughlin St Peters AC, Grace Keenan Glenmore AC, Zoe White Glenmore AC, Grace Reilly Blackrock AC, Meave Smith Carrick Aces, Kate Culhane Boyne AC, Lucy Rasbotham St Gerards. 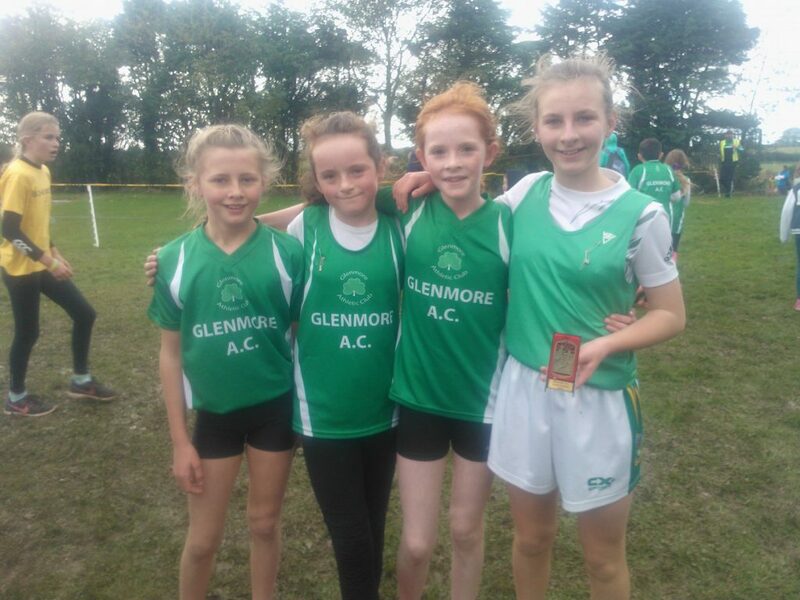 Girls U13 1500m, Aoife Fox Carrick Aces, Leah Mooney ST Gerards AC, Ella Hayes Armagh, Hallie Sands Ardee, Eimear Doyle BoyneAC, Laoise Mc Elroy Glenmore AC, Niamh Brady St Peters, Lisa Conlon Glenmore AC, Ciara O Brien Blackrock AC, Meadbh Fee Blackrock AC. 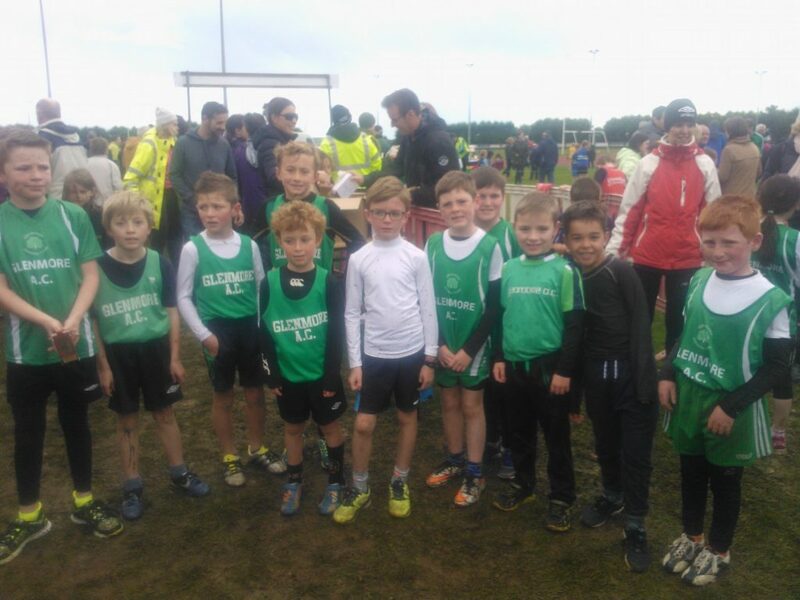 Boys U13 1500m, Neil Culhane Boyne AC, James Russell Dunleer AC, Tiernan Roley Dunleer, Sean Allen St Peters, Mark Litchfield St Peters, Cian Loy St Peters, James Daly Armagh, Conor Mc Guinness Glenmore AC, Billy Mc Cabe Bohermeen, Ciaran Bogie Bohermeen. Boys U15 2000m, Cian Leavy Dunleer AC, Coileann Connell St Colemans, Colm Billham St Colemans, Donnacha Hughes Blackrock AC, Cillian Mc Loughlin Boyne AC, Eoin Mc Eananey Carrick Aces, Niall Brady Glenmore AC, Eion Mc Cann Glemnmore AC, Ciaran Flynn Glenmore AC. 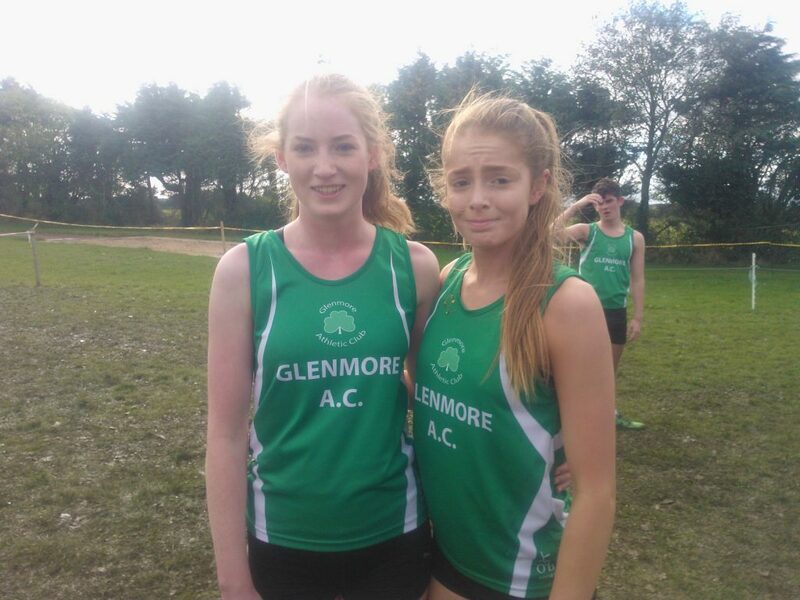 Girls U17 3000m, Katie Mallon Glenmore AC, Emma Geary Glaslough Harriers, Katelyn Mullholland St Gerards. Boys U17 3000m, Michael Mac Caul St Colemans, Conor Doherty St Colemans, Ryan Sheridan Bohermeen, Lorcan Hughes Boyne AC, Tom Mc Gee St Colemans, Oscar Rogan Bohermeen, Eoin O Connor Glenmore AC, Brendan Woods Glenmore AC, Andrew Moore Glenmore AC. Girls U19 3000m, Sinead Mc Erlane Glenmore AC, Kate Smith St Gerards. 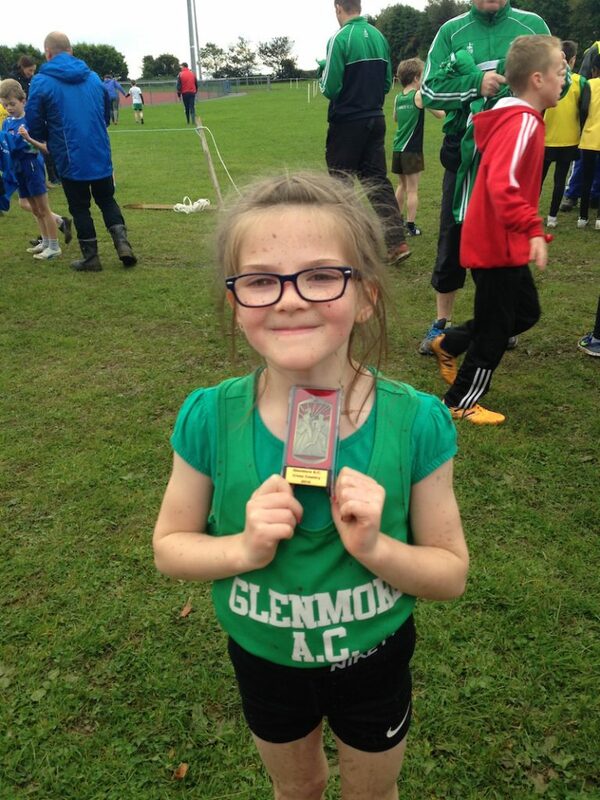 Well done to all the juveniles who ran and all our Glenmore athletes who supported the races. Next up was the annual Kearney & McBride 5km road race. Thanks to all who participated and supported the event. As ever it was an exciting race with athletes winding their way around Maguires Cross, Ardtullymore, Grange and back to Bush track for a final 400m lap. Brian McCluskey, NER, was first onto the track and pushed home to first followed by Conor Healy, Clonliffe Harriers & local Glenmore athlete Shane Toner in 3rd. Rebecca Henderson, Dromore AC, was first woman home, followed by Ciara Coffey, 2nd and Dearbhla Greene, NER, 3rd. In the O45 female category Glenmore athlete Fiona McQuade was 1st, followed by Sandra Doheny, Dunleer, 2nd and Martina Miskelly, Bohermeen, 3rd. In the O45 male category John Reilly, Drogheda & District was 1st followed by Gerard Kenny, NER, and 3rd Kenneth McBride, Glenmore. In the 055 male category Michael O’Connor, Glenmore, was 1st followed by Andrew and Brendan Rogers, Annagassan 10km, in 2nd and 3rd. Glenmore AC men retained the Kearney Cup on 14points with Shane Toner, Shane Lynch & Ciaran Walsh. NER came 2nd with 26points Brian McCluskey, Gerard Kenny & Alan McGeough. NER won the ladies McBride cup presented by Kenneth McBride, son of the late Mickey McBride, one of the founding members of Glenmore AC. The NER team were Dearbhla Greene, Lorraine Dunne and AnnMarie Duffy on 13 points. Glenmore ladies team in 2nd place were Fiona McQuade, Kinga Byrne and Katie Bell. 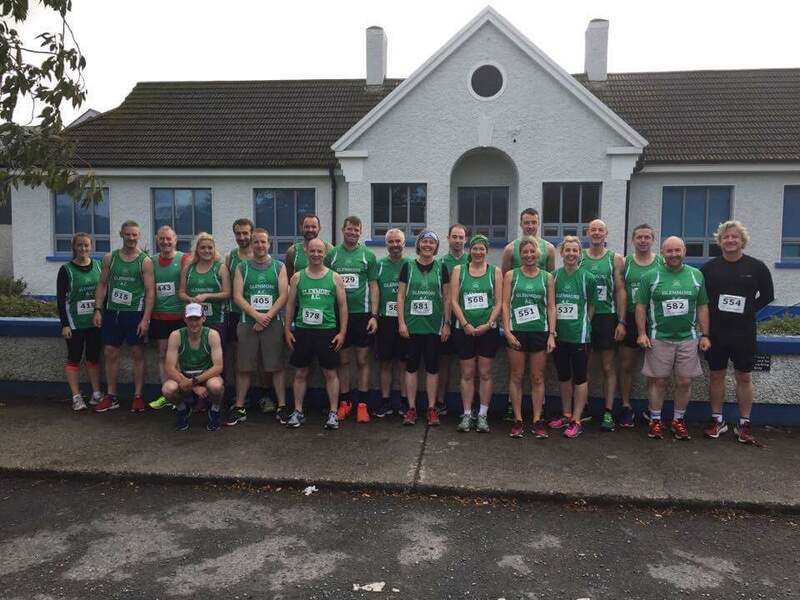 Well done to all for completing a fast 5km and to Glenmore athletes: Martin Toner, Patrick White, Tony Ashby, Stephen O’Connor, Tony Elmore, Christopher Connolly, Gavin White, Anthony White, Shane Arnold, llyod Byrne, Darcie Trant, Barry Woods, Joan Farnon & Edel Connolly. Congrats to all and thanks to all who helped on the day: stewards, timekeepers, kitchen helpers, mentors, coaches and all who contributed to the success of the day.